a Conversation with Hank Woon, Jr.
Game designer Hank Woon, Jr. got his start with Demonblade, a 15,000-word adventure that appeared in Dungeon 97. The best part of Demonblade for Woon was that he got to include a new prestige class, the Keshen Blademaster, who hail from the land of Kesh and are fierce enough when encountered alone. And profoundly deadly when encountered in groups. 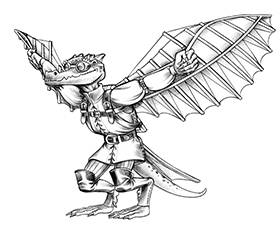 In 2004, Woon started freelancing for RedBrick Limited on the Earthdawn Classic line. A few years later, he joined the Redbrick development team full-time and last February he also signed on at Paizo as an editorial intern. With the recent release of Earthdawn Third Edition and the forthcoming release of the Pathfinder Roleplaying Game, we thought it was time to track Woon down and ask him a few questions about his design work and the games he loves. Jones: What do role-playing games mean to you? Woon: Roleplaying games are the most undervalued cerebral pastime in our culture. I started playing when I was 12 years old, and thanks to this oft-misunderstood hobby, I developed a strong interest in history and literature (which led me to my degree in History & English), and I was able to cultivate my skills in mathematics, reading comprehension, storytelling, and creative writing. Jones: What sort of work do you do at Paizo? Have you had much hands-on experience with the Pathfinder RPG? Woon: My duties as an editorial intern are mostly vast amounts of copy editing, blog writing, various office projects, and some development work. 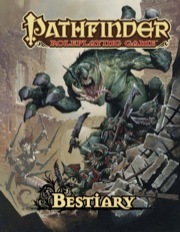 One of the earliest assignments I (and David Eitelbach) worked on was checking the math and formatting of every single monster that appears in the Bonus Bestiary and the upcoming Pathfinder Bestiary, making sure that everything was updated to the new PFRPG rules (which wasn’t easy, since Jason Bulmahn was still working on some finer aspects at that point), in addition to all the usual editing. That was pretty much my crash course with the new rule system. But I’ve also been given a lot of freelance assignments since I began, including a Pathfinder Society Scenario (with fellow intern David), contributions to the upcoming sourcebooks Andoran—Spirit of Liberty, Dwarves of Golarion, and the NPC Guide, bestiary contributions to Pathfinders #26 & #27, additional content in the core rulebook, and whatever else Sean K Reynolds will throw my way. I also got to playtest the new rules in Sean’s upcoming adventure, the Bastards of Erebus in Pathfinder #25. Jones: What part of PFRPG are you the most excited about? Woon: The third party support! I think the sense of community behind Pathfinder is very exciting, and I love all of the creative energies that feed off one another under the open content license. In fact, I recently wrote a manuscript for mass combat compatible with the new PFRPG, which Adamant Entertainment is interested in (they are currently reviewing it). But yeah, what I’m most excited about is the effects PFRPG is having on the community, and I can’t wait to see what happens after the launch. Jones: Where in Golarion would you most like to live? Least like? Woon: I’ve always been a big fan of the old Sinbad movies—Golden Voyage, 7th Voyage—so Qadira holds a special place in my heart. Of course, the new Qadira sourcebook has me all fired up even more, so right now that would be my choice. My second choice would be the River Kingdoms, which is why I’m so excited for the upcoming River Kingdoms sourcebook and next year’s AP, Kingmaker. And I think I would least like to live in Westcrown. After reading the first couple of adventures in the upcoming Council of Thieves AP, I’ve decided that it’s just too dangerous. 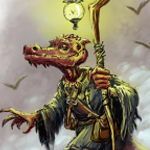 Jones: So, uh, can you sneak us a preview of something new from PFRPG? Woon: That’s mostly Jason’s purview. But for Paizo’s seventh anniversary, I statted and wrote up the Paizo Golem, which showcases the new monster format (with slight changes from the Bonus Bestiary). Jones: You worked on Earthdawn Third Edition. 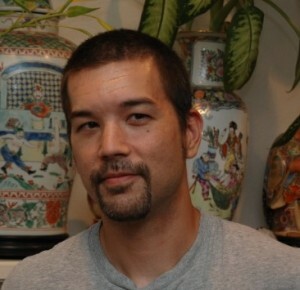 Woon: I work as both editor and developer for Earthdawn Third Edition. I think the most exciting aspect of the new edition (besides Kathy Schad’s beautiful covers and layout) is both the streamlining of some of the more awkward rules (movement, I’m looking at you!) and the new Discipline advancement rules. During the Earthdawn Classic era, we had the “ADM” (Alternate Discipline Mechanics) available as a free-PDF download, and based upon years of feedback, we were able to implement it finally into the “official” rules. I think it’s very elegant, increases player options, and makes the character-creation/growth process feel that much more customizable. But Third Edition really is a whole new way of doing things over at the ‘Brick. We are basically resetting the whole line, so all of our new products had to be put on hold (including several of my sourcebooks and adventures), but my second Earthdawn novel, Immortal Twilight, is finally scheduled to be published within mere weeks. Jones: What’s super cool about Earthdawn? Woon: For me, Earthdawn has always had a dual cool factor: setting and mechanics. The post-apocalyptic fantasy world filled with ancient and powerful demonic entities that lurk in the dark corners of the land contrasting with a highly sophisticated empire armed with flying ships, flying castles, and fire cannons that is crushing the realm within its gauntleted fist, all combined with a very flexible, diverse, and unique game system has kept me enthusiastic for the past 15 years. The tie-ins with Shadowrun—another favorite game of mine—also adds longevity to its appeal. I think new players coming from, say, D&D would enjoy it because it is at once familiar yet exotic. It is clearly in the same vein as classic high-fantasy RPGs, but there are so many new elements that it’s like getting to start over. 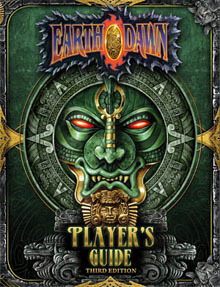 That was probably the best experience with Earthdawn back in the day for me; I was coming from AD&D 2nd Edition, and by that point all of my players knew all of the monsters and published campaign settings just as well (or in some cases, better than) me. So when I got Earthdawn, I was able to still play the same kind of game I enjoyed and was familiar with, but was finally once again able to elicit that sense of awe, wonder, and mystery from my players that I think we GMs all really enjoy. Props to my boy Hank!!! Props to my boy Craig for propping my boy Hank!!! Excellent description of why Earthdawn is so cool!!! It is awesome! Props to my boy Justin for propping my by Craig for propping my boy Hank…uh! I’m outta breath! I will give credit where credit is due. While I enjoyed Earthdawn immensely, Hanks ability to tell a story and thread an adventure were part of the main reason I enjoyed RPGs so much! You got mad skills Mr. Woon. Huzzah Hank, glad to see your interview, and I love the Earthdawn Plug. Haha, thanks guys. And thanks Jeremy for the interview! I like your work; keep it up!